Our stickers are almost as good as our products! 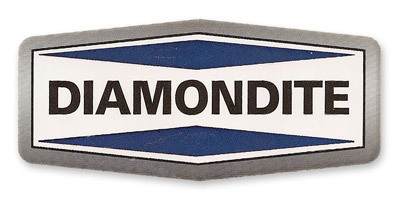 The Diamondite Small Logo Sticker can't detail your car, but it does say that you are a detailer and proud of it! These small logo stickers are a fun way to support your favorite brands, and they are a functional way to label your detailing equipment. Prevent cross-contamination or just mark what's yours with our Small Logo Stickers. The Diamondite Small Logo Sticker is made to withstand moisture and can be placed anywhere.